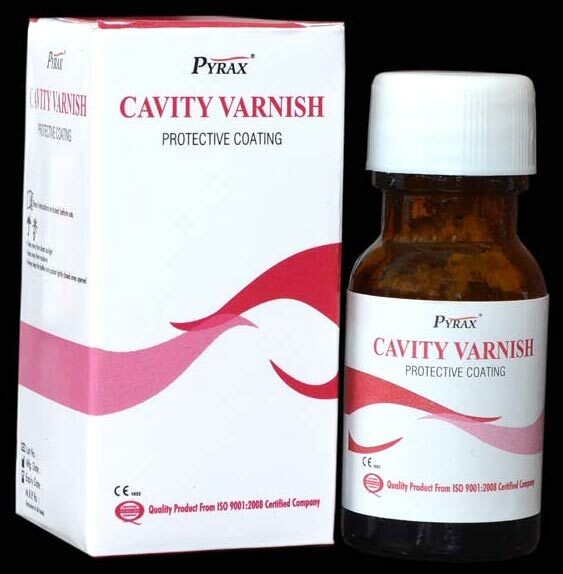 Cavity Varnish is used for carrying prophylaxis in pediatric dentistry. It is considered ideal for the treatment of teeth hyperesthesia. Cavity Varnish covers enamel defects and other non-carious lesions. It is a one-component fluorinating varnish of white color. The fluorine ions strengthen tooth enamel of Cavity Varnish. We are a noted Manufacturer and Supplier of Cavity Varnish in India.